London. Girls are disappearing. They've all got one thing in common; they just don't know it yet. Sixteen-year-old Lily was meant to be next, but she's saved by a stranger: a half-human boy with gold-flecked eyes. Regan is from an unseen world hidden within our own, where legendary creatures hide in plain sight. 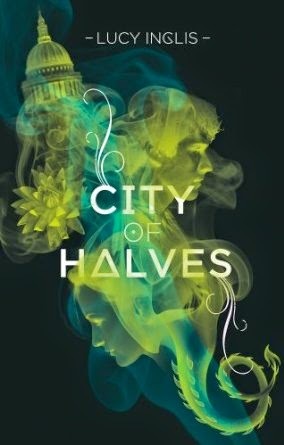 But now both worlds are under threat, and Lily and Regan must race to find the girls, and save their divided city. She shrugged. ‘Pubs, mainly. Probably meeting clients. ‘Thanks to my star researcher.’ He winked. Her father paused suddenly, looking at her. by dark lashes and eyebrows. tie in the hall mirror. gulls wheeled against a leaden midday sky. tried to put to good use.